If you hang around the Embarcadero across from the Ferry building in the late afternoon, you might catch Felix and his team of talented skateboarders. A small group of us stopped there on our way to a twilight shoot at Pier 14. We asked permission to catch the action. Permission was granted and the hat was passed. "Air" captured with the Olympus 75mm on an OM-D E-M10. Photos by Derrick Story. For the first time during the San Francisco Street Photography Workshop, I pulled out my Olympus 75mm f1.8 prime lens for the OM-D E-M10. That was a good choice. The 75mm is perfect for getting close to the subjects. I set the ISO to 1600 and the aperture to f/2.8. This provided fast shutter speeds of 1/4000th and 1/2500th to freeze the movement. And of course burst mode allowed me to have several frames to choose from. After the shoot, I processed the images in Aperture 3.5 using my favorite urban presets. 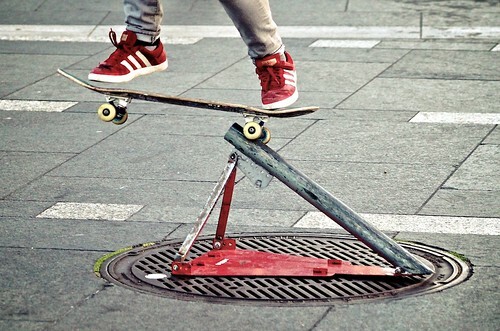 We hadn't planned to shoot skateboarders. That's the beauty of street shooting. You just don't know what you're going to come home with. I encouraged everyone to experiment and have fun during the Saturday night session of the SF Street Shooting Photography Workshop. I knew that I wanted to play with Art Filters and Live Bulb on my Olympus OM-D E-M10 with M.Zuiko Digital 17mm f/1.8 prime lens. 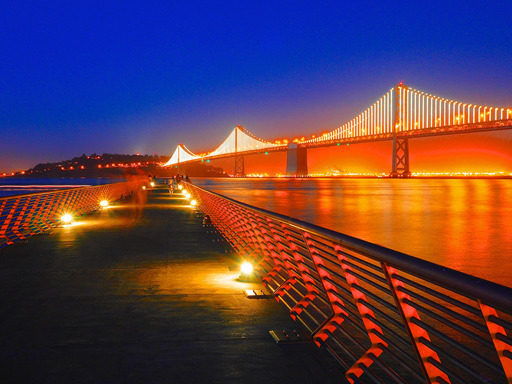 Bay Bridge from Pier 14 with Olympus OM-D E-M10. Photo by Derrick Story. We had set up shop at Pier 14 on the Embarcadero. I perched my MeFOTO DayTrip Tripod on a covered trash receptacle, set the E-M10 to RAW+Jpeg, enabled the Pop Art filter, and proceeded to have a blast capturing the bridge as it came to life at twilight. The long 13-second exposure helped smooth out the water, and setting the 17mm lens to f/10 with manual focusing allowed me keep all the details crisp. We wrapped up for the evening around 9:30 pm, then headed back to the Hotel Cartwright to prepare for another day of street shooting. How is the Nikon sRAW format Different than RAW? You want to capture quality, but not necessarily a huge file size. Is the new Nikon sRAW format the answer? Nikon Rumors posted, What exactly is the new Nikon sRAW file format? that provides a good overview with a link to even more detail if you want it. 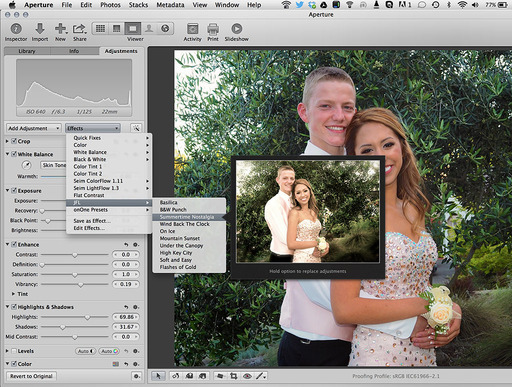 Personally, I've shied away from sRAW on Canon because of some decoding problems with image editing apps. 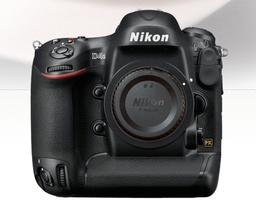 I'll be curious to see how Nikon users embrace this streamlined format. OTTO is an interesting little camera with an unique set of features. Powered by Raspberry Pi, you can customize and even create new shooting modes via WiFi and your mobile device. Currently, its creators are raising money via its KickStarter program that is open until June 14, 2014. Backers can pledge $199 to receive the first shipment of OTTOs if the project is successfully funded. Among its talents, OTTO can capture animated Gifs in-camera, time-lapses, stereo images, and really just about anything the mind can conceive. Part of this magic stems from its brains. 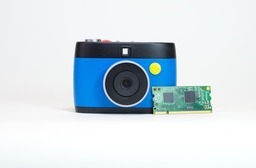 OTTO is the first product to be powered by the brand new Raspberry Pi Compute Module, a thumb-sized system on module identical to the Raspberry Pi Model B, but in a much smaller package meant to be embedded in products. 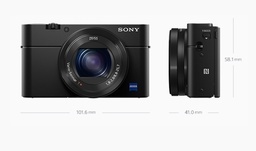 It includes an optical viewfinder, 35mm f/2 manual focus lens, 5MP CMOS sensor that also captures Raw, and HD video up to 1080p30 / 720p60, and VGA 640x480 at 90 frames per second. If I were teaching a high school photography class, I would probably buy a half dozen of these for exploring and creating new media. The next issue of c't Digital Photography Magazine is ready to go to press. But I have the cover to preview now. Topics include full-frame cameras, Lightroom vs Photoshop, macro photography, and much more. New subscribers can receive a 20% discount through the end of May. If you subscribe by Friday, you'll be included in the first shipment of this latest issue. 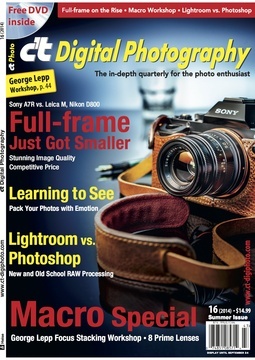 c't Digital Photography Magazine is for those who like depth and detail. It's German engineering for photography. If you want to see for yourself, check out their Free Downloads Library. If this type of expertise is appealing to you, take advantage of the May Discount Offer. Subscribers also receive the electronic version of the publication. For the upcoming San Francisco Street Photography Workshop, We'll be working with two Bay Area models for urban portraiture. As we explore the plethora of nooks and crannies in the city, we're going to need some off-camera lighting to create the effects we want. The rig I'll be using folds down to 19.3 inches. It weighs just a few pounds, yet can be extended to over 6 feet high. The entire lighting rig fits in a simple drawstring bag that's less than 2 feet long that I can throw over my shoulder. 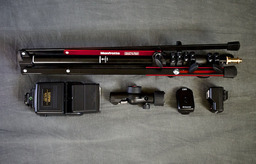 This setup will work with any camera that has a hot shoe. So regardless of what brand workshop attendees have with them, they can take advantage of off-camera flash. And the best part is, the entire kit cost less than $239, and that includes the aluminum folding stand, adjustable swivel head, radio triggers, and the flash. Here's the parts list. CowboyStudio NPT-04 4 Channel Wireless Hot Shoe Flash Trigger Receiver ($22.05) Any wireless trigger will work! Sunpak Super 383 Flash ($95) Any flash will work! The Manfrotto NanoPole Stand is a real improvement over my traditional light stands, especially for outdoor work. 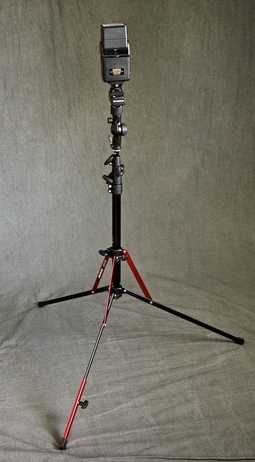 The center pole can be detached from the feet providing a boom for lighting or audio. The adjustable "leveling leg" makes it easy to keep the stand vertical on uneven surfaces. And the sandbag hook allows you to add weight to the base of the stand for more stabilization. I'm also impressed with the Snap Tilthead with Shoe Mount that attaches to the stand quickly and accommodates just about any type of speedlight. There's no need for hot shoe adapters since that's built in, and the spring-loaded smart-tilting mechanism prevents your flash from crashing downward on to the pole. To have a complete lighting setup that collapses to less than 2 feet of space and weighs a mere 4 pounds is perfect for city shooting. I even have room to pack a Rogue FlashBender Kit to help me shape the light. These modifiers work much better outdoors than umbrellas and soft boxes that are top heavy and can make your stand tip over. I'll share some portraits after the workshop. It's going to be a blast using these tools in San Francisco. 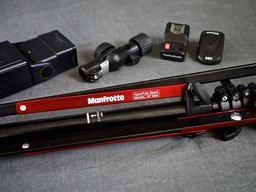 The Manfrotto NanoPole Stand has a high Nimbleosity Rating. What does that mean? You can learn about Nimbleosity and more by visiting TheNimblePhotographer.com. Here's a clever idea that I read about on Engadget. It's a macro ring light that you can use topside or underwater that fits over the front of any of the Olympus TG cameras (TG-1, TG-2, and TG-3). 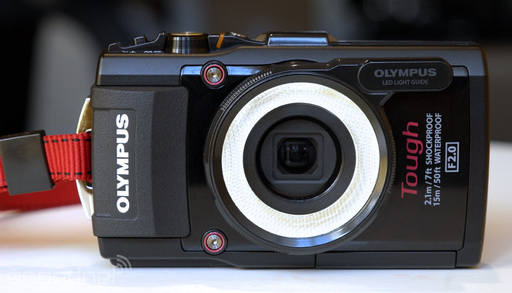 The Olympus LG-1 LED Macro Ring Light channels the camera's LED illuminator into a round, even light source perfect for close-ups and macro photography. So you don't have extra batteries to worry about or concern underwater about using a supplemental light source for close-up shots. 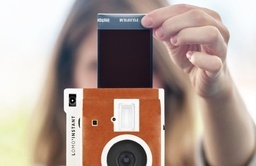 There are a number of sample pictures with this accessory over at the Engadget article. So you might want to take a look. I'm hoping that it arrives before my trip to Maui in July. If so, I'll report back on my experience with it. The Olympus LG-1 ring light has a high Nimbleosity Rating. What does that mean? You can learn about Nimbleosity and more by visiting TheNimblePhotographer.com.